The whole world has a stake in the war against poverty and leaders across the globe are looking for a permanent solution. That’s why economist Barry Asmus and theologian Wayne Grudem have teamed up to outline a robust proposal for fighting poverty on a national level. These two experts believe the solution lies in a comprehensive development plan that integrates the principles of a free market system with the Bible’s teachings on social ethics. Speaking to the importance of personal freedom, the rule of law, private property, moral virtue, and education, this book offers a clear path for promoting economic prosperity and safeguarding a country’s long-term stability—a sustainable solution for a world looking for the way forward. "Economics is too important to leave to economists alone. Theology, likewise, is too important to be left to theologians alone. 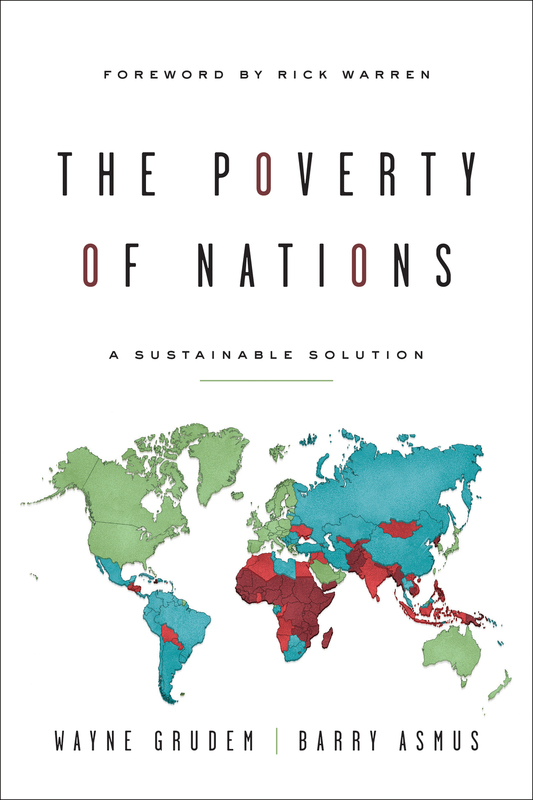 This book, written for non-specialists by an economist and a theologian, must therefore be taken seriously and used to stimulate debate and action that will address the scourge of poverty." 5. The Mechanics of the System: How Does a Free Market Work?